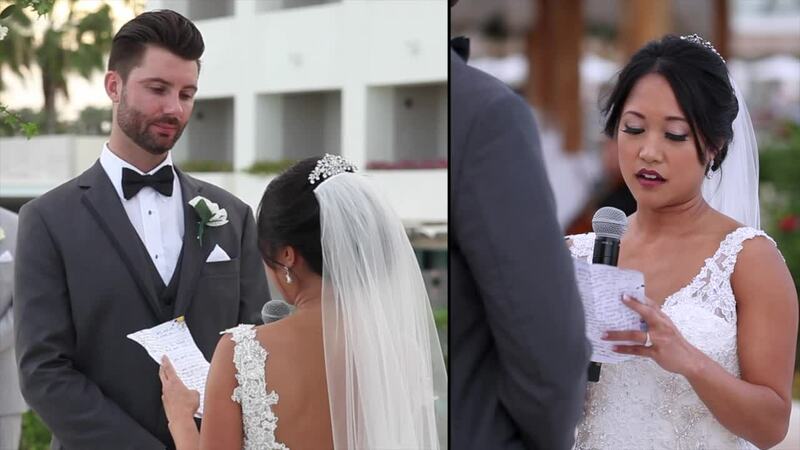 Paradisus Cabo Luxury Wedding- Alec and T. WOW WOW!! What a beautiful resort and a fantastic wedding- Looking for the right resort? the correct venue? Contact Alec and T. Alec and T have been in Cabo for 11 years, just doing weddings and weddings and more weddings!! Specializing in helping you find that perfect resort – Planning and Designing -Lighting and Decor- Photography and Video! Mostly creating a wedding that is fun from start to finish! Paradisus Cabo “I s special to me !!! about 8 years ago. We planned and my nieces wedding at this very spot and it was a dream destination event for her and all my family. Grace and Kevin, congratulations to you both. I was a professional ballerina in NYC- That first dance was sososososo fun, hit every key point and had your friends going crazy. Alec and I stayed i think more then a hour after wards and just talked and laughed with everyone. I feel blessed when i get to be apart of a day like this!! Thank you Grace and Kevin!! !